According to the US Census Bureau, the number of unmarried adult couples has greatly increased over the past 50 years . Nowadays, it is more socially acceptable to move in together before getting married and more and more people are thinking twice about marriage. Many of the people that are thinking twice about marriage are doing so because they saw what happened to their parents’ marriage – ending in a bitter divorce – and in some cases even seeing what has happened to themselves and/or friends. For this reason, they would rather just live together and make the finances less murky . Unfortunately, while not getting married clears up the murky water for divorce, it muddies up the water when it comes to long-term planning. This is an area where many unmarried couples fail to take the steps needed to ensure they are protected and are able to help and provide for their loved one. Here are 3 documents all unmarried couples need to have for the long-term. Having a will is a big deal for an unmarried couple. 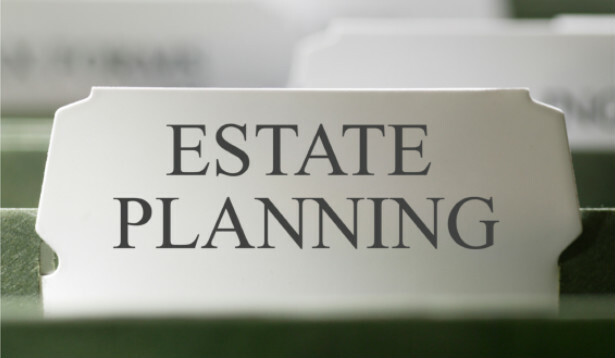 In most states, if you pass away without a will, the court will dictate how your assets will be dispersed. Most likely they will go to your spouse, then to your children. In the event you have neither, they will go to siblings or your parents. The problem is that you could have a loved one – an unmarried partner – who will not get anything from the court because you are not related by birth or marriage. This is why you need to have a will. While your siblings could give physical belongings back to your partner, it will be difficult to give cash or stocks, especially if they are in large amounts. There also could be issues with family members not wanting to give anything to your partner as well. To benefit everyone, it makes sense to have a will set up in place to make sure your assets go where you intend them to go. A power of attorney, also called a health care proxy, gives someone the right to make health related decisions on your behalf, should you be in a position to not make the decision yourself. A common example is if you were in a coma, someone else would have the ability to make the decision to keep you on life support. But it doesn’t stop there. It could also mean making decisions for you if you have Alzheimer’s or other diseases as well. The reason you need to have a power of attorney is because without it, your unmarried partner cannot make any decisions for you. The only ones that can are family members, and without being married, your partner is not a family member. While a power of attorney helps you in medical situations, a durable power of attorney allows for financial decisions to be made for you should you become incapacitated. Don’t mistake “incapacitated” for dying. It simply means that a person is temporarily or permanently impaired and unable to make rational decisions. This could be any number of accidents or instances not related to passing away. As with the examples above, the courts look at family members to make decisions on your behalf and your partner is not a family member if you are not legally married. Let’s say that you get into an accident and someone else needs to start making decisions on your behalf. Since you and your partner are not married, they have zero say in the matter. The court turns to your parents, who you don’t have the greatest relationship with. Would you rather have them make decisions on your behalf or your partner? Most would answer their partner, but without these documents, your partner can not make the decision, let alone any decision. While this example might sound a little on the extreme side, it happens more often than you would think. And furthermore, even if you think your parents have your best intention in heart, do they have the intentions you truly want, the one you have discussed and know your partner knows? Take the few hours at an attorney’s office and set up these 3 documents if you are living together with your partner and have no plans on getting married. Ideally, you will never need to use two of them, but there is the chance they will need to be used. In that regard, it is better to have your bases covered and know who can make the decisions on your behalf.